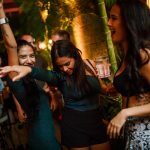 You love Sunday Funday, right? 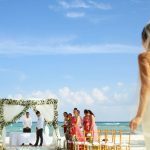 Well, when in Playa del Carmen, the Funday possibilities are endless: beach club, zip lining in the jungle, a day pass to an all-inclusive hotel, a spa day or a cenote. 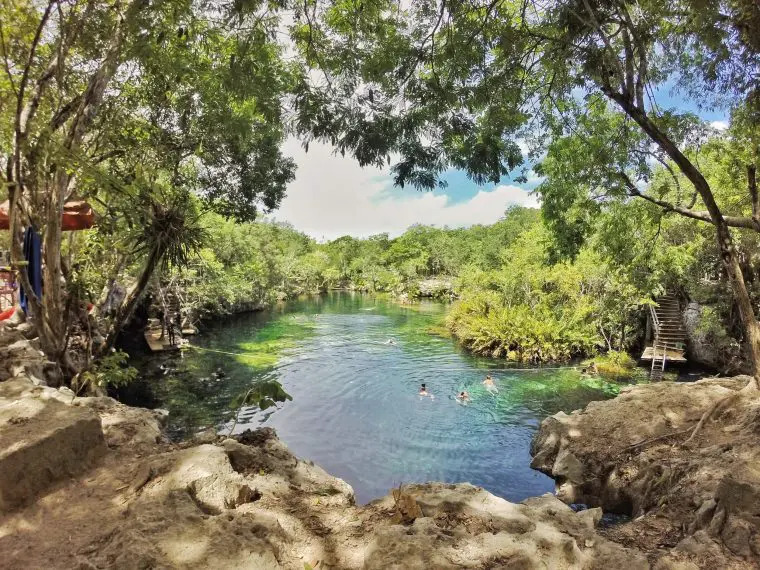 This past Sunday, I was lucky enough to visit Jardin del Eden cenote, located about 20 minutes’ drive from Playa del Carmen. 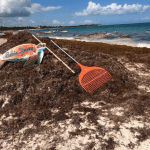 What is Jardin del Eden? 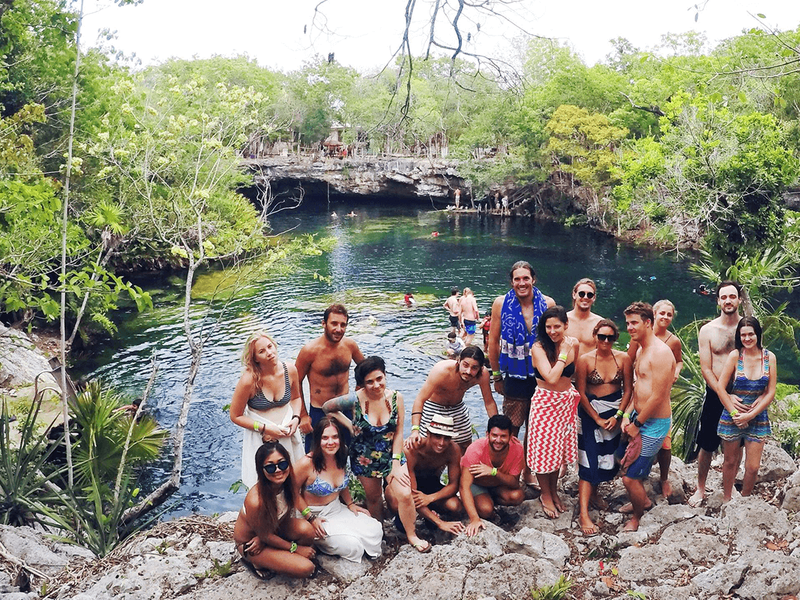 Well, if you are new to cenotes, you may want to check out our post about what is a cenote. 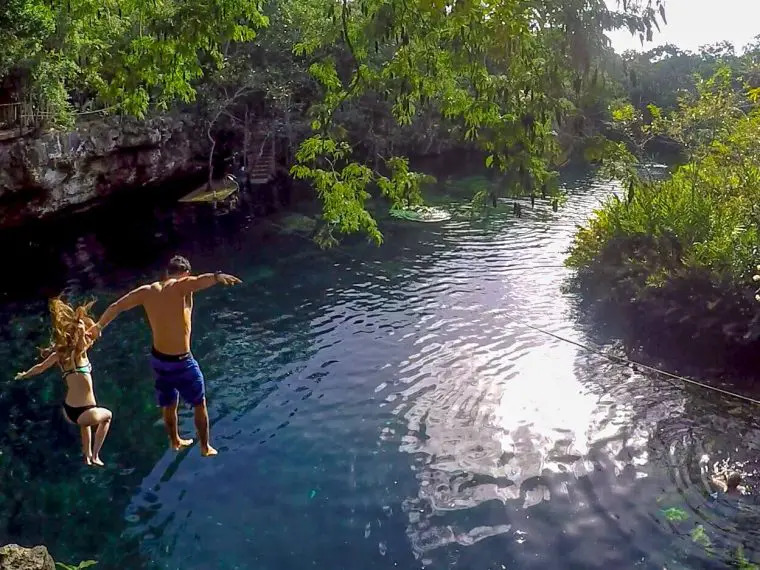 This one happens to be an open cenote featuring crystal clear refreshing water. The cenote is quite large and can be very deep in some areas, although you can’t really tell with the water being so clear. 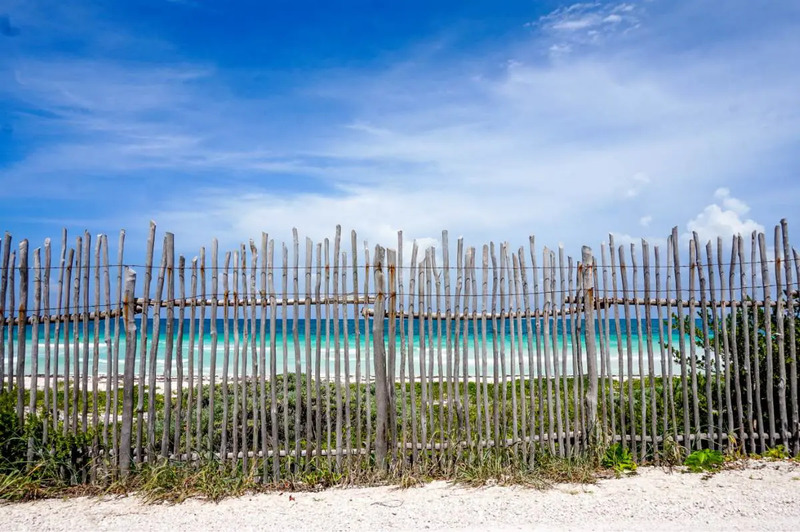 There are a few areas at the top where you can sit and lounge around, but you must walk down a number of steps to get to the water level, so it may not be that easy if you mobility problems or very young children. 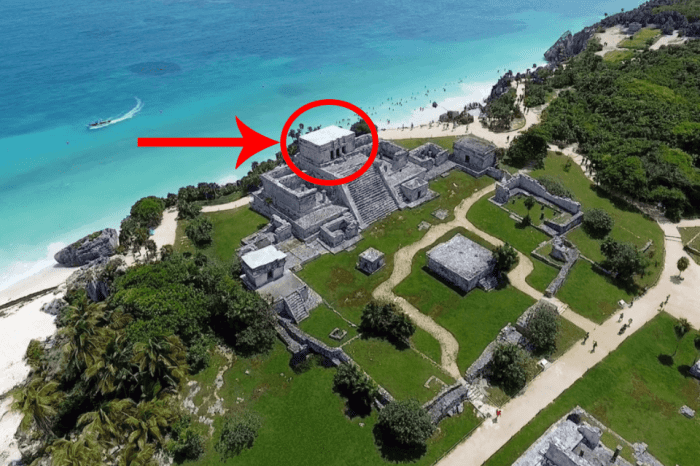 Once you get down to the cenote level, you can access via stairs, or jump in off the dock. 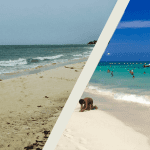 Either way, get ready for a nice refreshing swim and some an incredible snorkeling experience. There are small fish in the water (free fish spa, they will tickle your toes if you stay still) but if you snorkel it is more to see the rock formations than the fish. We went on a Sunday, which happens to be THE day off for locals, so it was quite busy. However, there was enough space to swim around comfortably, areas to sit and relax, and considering the scorching August heat, it felt cool and refreshing. One important note is that they do not allow sunscreen. 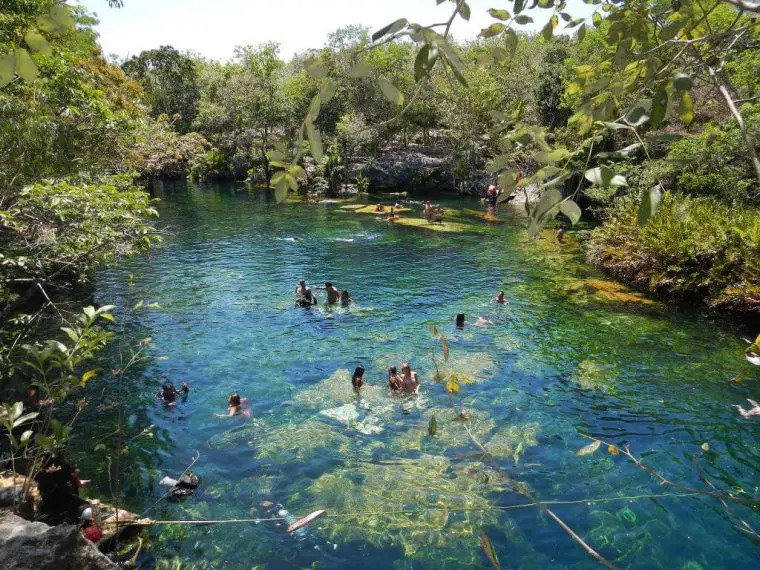 The cenotes are a natural wonder here in the area and once you start reading the ingredients on your sunblock, there are very few that are natural (or even pronounceable). SO, you may want to consider a rashguard shirt or going earlier in the day before the sun is at its highest. The Irish in me did walk away with quite a bit of reddish skin and a few more freckles, but for the most part, I stuck to the shady areas and covered my shoulders when in the water. The kids, two boys, ages 9 and 11, had an amazing time jumping in from the different areas and overall it was a fun family day. For the brave, you can also jump in at the top level. There are several areas to choose from, and the kids even decided to climb even higher and jump from the tree! How Much Is The Entrance Fee To Jardin Del Eden? 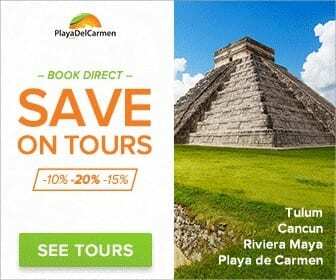 The entrance fees are 200 pesos for adults and around 100 pesos for kids. With the current exchange, that works out to about $10 US for adults and half of that for the kids. 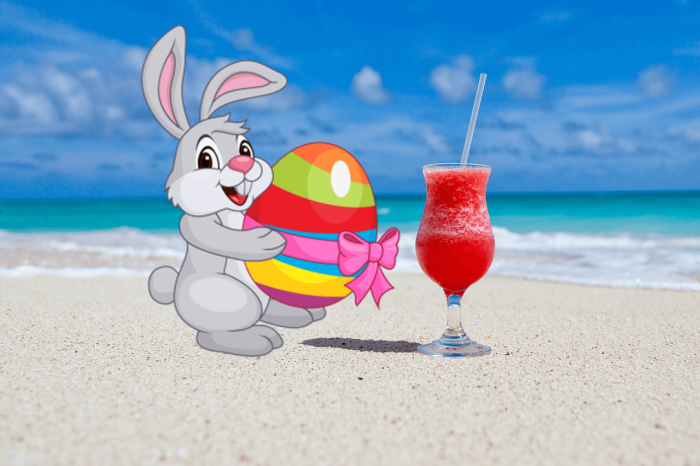 However, pricing is subject to change depending on the season in which you visit. A pretty great deal, I think. Parking is free and they do rent both snorkeling equipment and life jackets if you want them for 50 pesos ($2.75US) a piece. Although the official rules ask that you do not enter with food, almost everyone had brought their own snacks and drinks. They do have a limited amount of snacks available for purchase (think chips) and there was a snack cart in the parking lot selling raspados (similar to a slushie) and other munchies. When is Jardin del Eden open? Every day except Saturdays (weird, right?) from 8 am through until 5 pm. 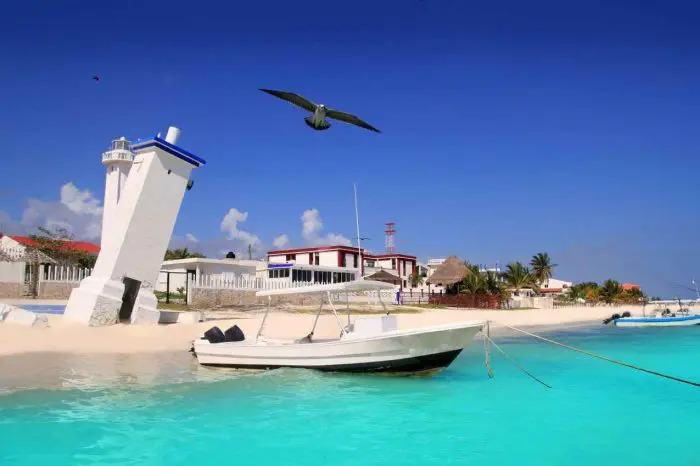 Can You Scuba Dive At Jardin Del Eden? YES. 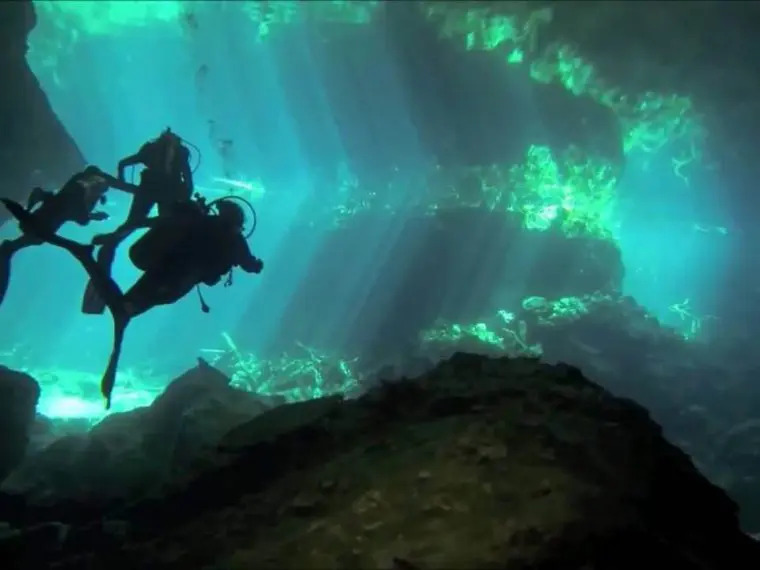 There were a few divers the day that we went, but scuba diving at the cenote is permitted. 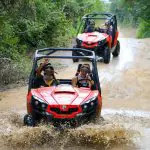 The cenote is located on the main highway and is easily accessible. 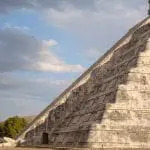 If you are lucky enough to stay at the Barcelo resorts (Barcelo Palace, Maya, Beach, Colonial or Tropical) you can walk across the highway very very carefully and make it there in about 5 minutes. If you rent a car, it is an easy drive, or you can grab a taxi. 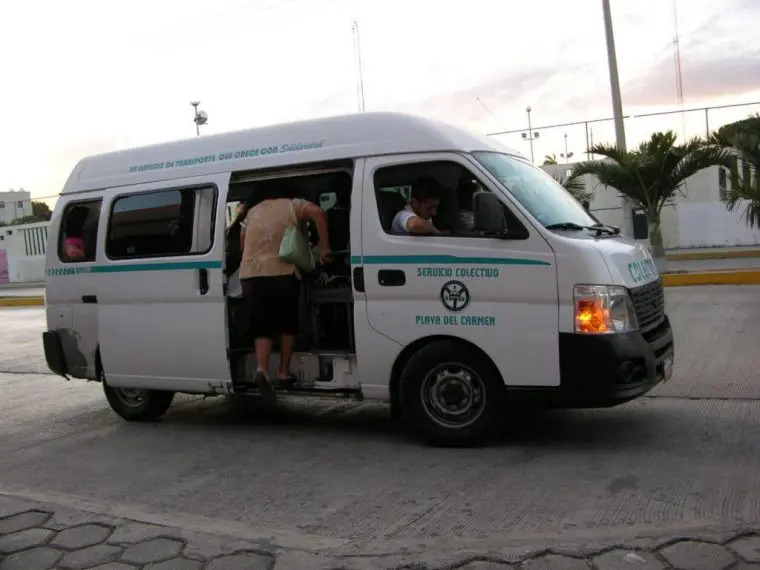 You can even grab a colectivo from Playa del Carmen (calle 2 between avenida 10 and 15) and for less than a buck, you’ll be on your way. 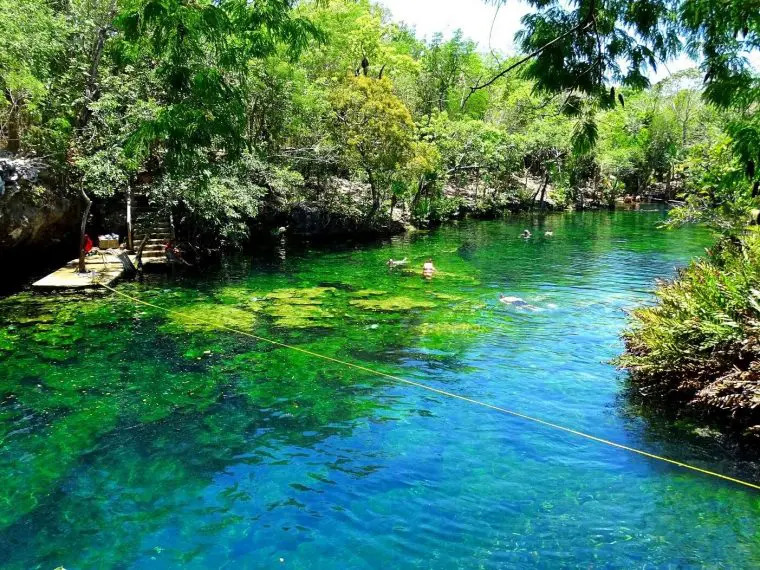 The cenote is located about 10 minutes walk from the highway, but it is an easy walk, mostly in the shade. 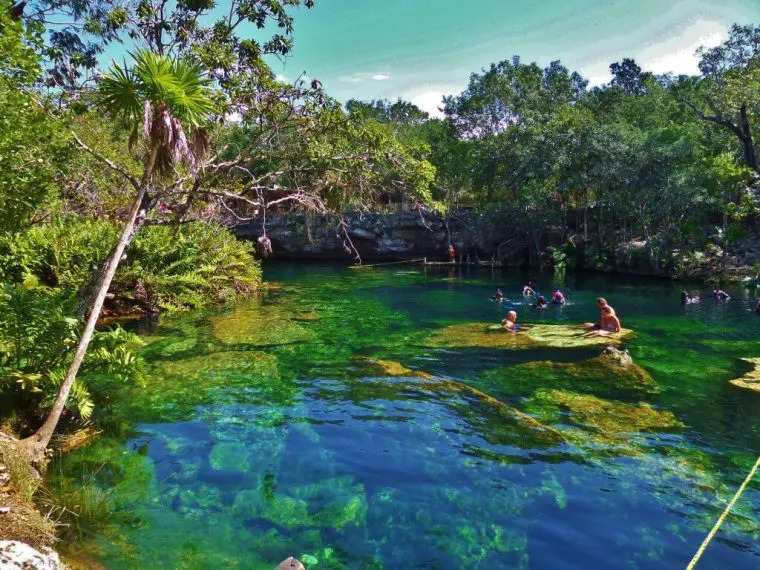 If you want the chance to explore more than one cenote, this would also be a great choice. Right beside Jardin del Eden is Cenote Azul (check out our blog on Cenote Azul) and on the other side are the Chiken Ha cenotes, Cristallino and Kantunchi. They are all within walking distance of each other and open to the public. Entrance fees vary (Cenote Azul, Cristallino and Eden all around 100 pesos and the other two are more but have a few cenotes inside). Well worth the money. Great day out. JUST DO IT AND GO. 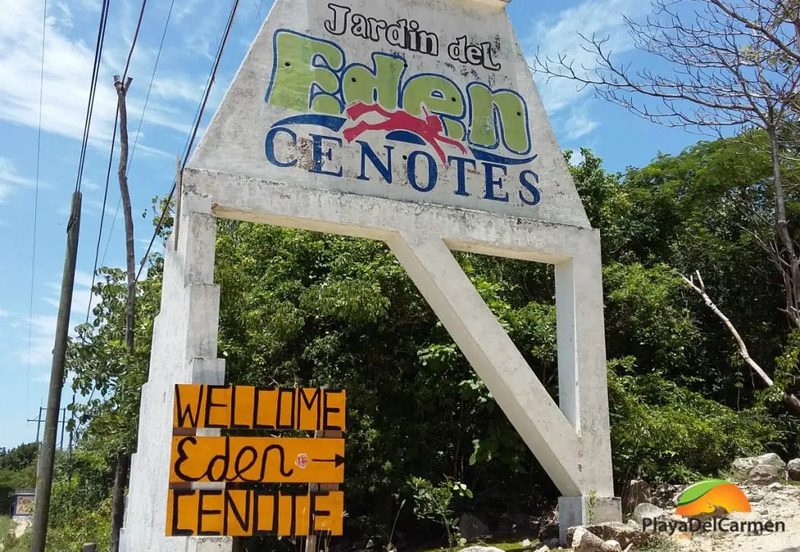 Have you been to Jardin Del Eden Cenote? 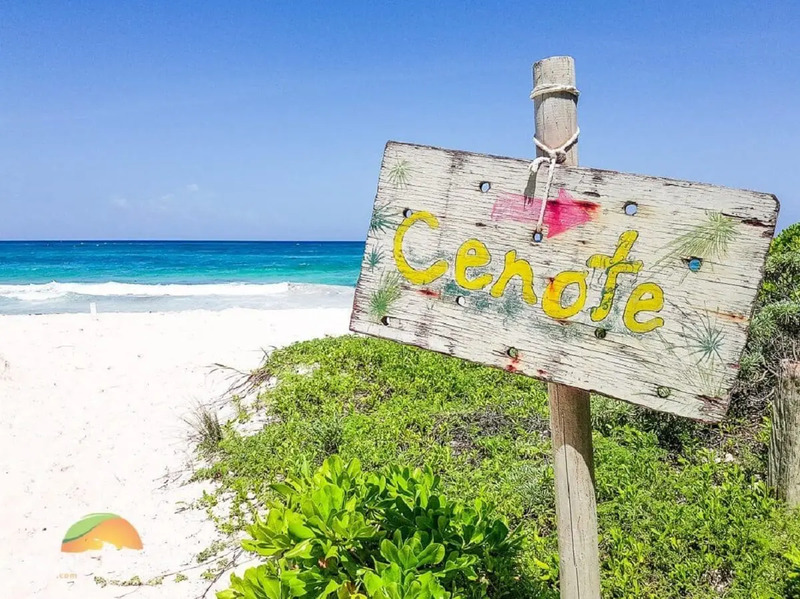 Cenote Azul? Or another in the area? Please share your comments and experience, I’d love to hear from you! Thanks a lot for sharing this magical wonderland to tourists as us from Germany. Made our Trip even more special! Went there today Wednesday September 5th and it was 200 pesos entry fee. Hey Eric, thanks for the heads up, we will be sure to update! these pictures look great, and the blog is really interesting, thank you for sharing this post. 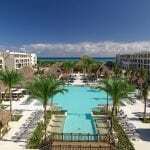 I’m going to be in Playa Del Carmen in August with my mother,and I’m planning a Cenote day. 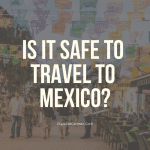 I always hear that Azul,Jardin del Eden and Cristalino are within walking distance. But how close are they really? Don’t want to be walking in the sun with my mom for too long. I’d love to hit all three,but Azul and Eden are my top choices! Would you know which one is first coming up on the highway? Hey A, Azul is the closest I think but I definitely wouldn’t walk there. Grab a cab it will be cheap and super quick. I hope that helps, all the best, Sarah.